Opening Times: Club times Tue & Wed 1815. No official public times although casual use may be tolerated out of school hours. North Gloucs/Four Counties League meetings were held here in the 1960s & 70s. The track is a redgra one and still 440y in length. The infield is a redgra pitch. The track is in good condition although most of the field event facilties appear to be disused although the host club are investigating the possibility of installing some synthetic runways. There are no permanent curbs down the straights. 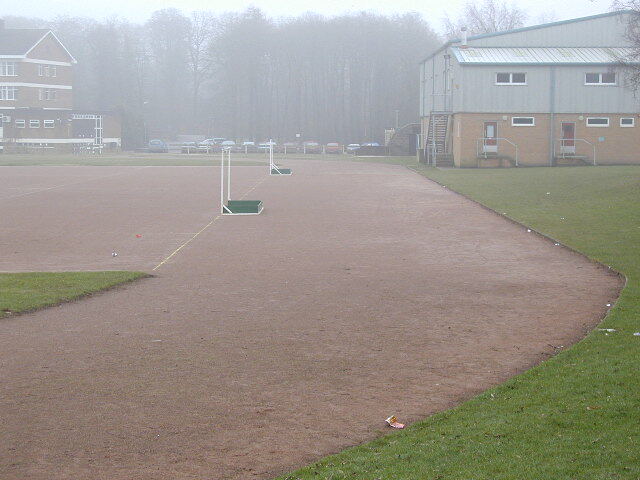 The track is owned by the Royal Forest of Dean College which is a school. Five Acres Leisure Centre is also on the same site. The building immediately next to the back straight is the Forest of Dean Gymnastics & Fitness Centre which was opened in 1998. The back straight appears to be used for sprint races as there are only curbside markings on that straight.